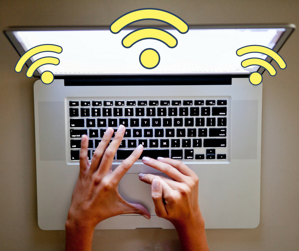 KIH Articles I Is Your WiFi Making You Sick? Our health is directly affected by a variety of things we cannot see but know to be true. We don’t see the air, but we are sensitive to air quality on a smoggy day. We cannot see UV rays, but we can certainly feel their effects while baking at the beach. And while we cannot see electromagnetic radiation (EMF), a growing number of people are reporting symptoms that directly correlate to electrical hypersensitivity (EHS) and radiofrequency radiation (RF). Now, more than ever, we are living in a world of convenient luxuries that depend heavily on electrical pollutants. We have phones in our pockets, microwaves in our homes, and satellite systems in our cars. As science attempts to catch pace with the exponential race of technology, we are only beginning to comprehend the effects RF waves have on our health. RF is what allows you to borrow your neighbour’s WiFi while you’re waiting for the service guy to come. Without the need for wires, RF has the power to pass through walls and go just about anywhere it pleases – and that includes inside our body. In this digital age, almost anything we can imagine can be a source of radiofrequency radiation. Our cell phones might seem obvious, but what about our Smart Meters, our children’s gaming systems, the baby monitor? They all use wireless communication, surrounding us in a constant invisible fog of electrosmog. Our society encourages us to keep up or fall behind. Have you ever passed the Apple store the day a new iPhone hits the market? So many of us are willing to stand in lengthy lines, just to be early adopters of the latest technology. Our priorities are placed on technology as a way to make our lives better. And no doubt, it does. However, most of us never consider how our addiction to technology also impacts our health by inundating our bodies with a constant barrage of radio frequencies. While EMF and RF radiation is considered biologically safe according to safety data provided by Health Canada and other organizations, the reality is that the level of our constant low-grade exposure is not reflected in their guidelines. Further to that, EMF may also affect the mitochondria - our cellular energy factories, which are fundamental to every energy-dependent process in our body, most notably our nervous system. As a result, EMF-induced disruption of our mitochondria may effectively bolster neurodegenerative diseases like Alzheimer’s and Parkinson’s, as well as playing a part in other diseases and health issues where mitochondrial dysfunction is implicated. These include psychiatric disorders, autoimmune diseases, headaches and migraines, chronic fatigue syndrome, fibromyalgia, stroke, diabetes, heart disease, reproductive disorders, cancers… the list goes on and on! So, the question needs asking: If EMF and RF are already having an impact our lives, what are the long-term effects for our children raised in a world choked by electrosmog? Only time will tell. While more data is required, the science that’s already in, warrants taking precautionary measures in minimizing EMF exposure. EMF-reducing sleep sanctuary or canopies may help block EMF according to renowned doctor Dietrich Klinghardt, from the Academy for the Healing Arts and Neural Therapy and Biology. By simply spending time in nature and grounding yourself so you have direct contact with the earth, you are opening the gateway for an influx of electrons to be absorbed and distributed throughout your body. This transfer of electrons can help to neutralize oxidative stress and minimize any derangements in the electrical activities of your body. 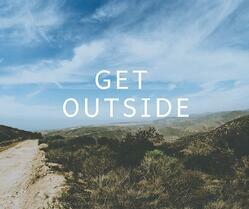 So put down your phone and open the door to a healthier future! 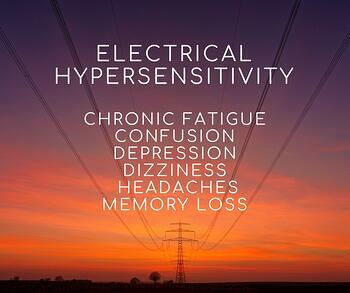 If you believe you have symptoms that could be related to electrical hypersensitivity, please book an appointment to visit us. We want to help you take control of your health!